WARSAW, Poland (AP) — Poland sees itself as a bridge in trans-Atlantic rifts between the European Union and the Trump administration and wants the EU to show “greater empathy” for U.S. sanctions on Iran, the country’s foreign minister said Friday. Minister Jacek Czaputowicz told The Associated Press in an interview that Washington was “right” to announce renewed sanctions while withdrawing from the international Iran nuclear deal. Poland is making that argument with the EU, Czaputowicz said. Polish President Andrzej Duda is scheduled to visit the White House for talks with President Donald Trump on Tuesday. Defense, Central Europe’s energy security and economic cooperation are among the topics on the leaders’ agenda. Trump withdrew from 2015 nuclear accord in May and re-imposed some sanctions on Iran. More sanctions are to be imposed in November. Britain, France and Germany were parties to the nuclear accord, and the EU created a financial support package to bolster the Iranian economy. 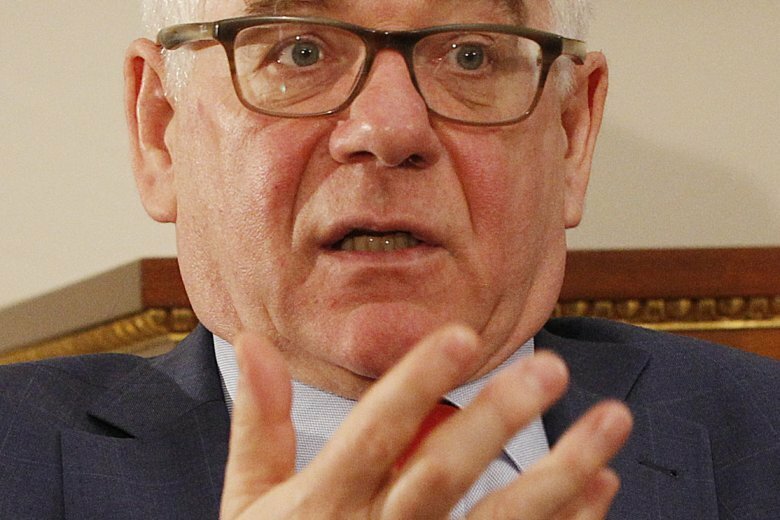 “We do not want to have the EU acting against American policy, meaning against these sanctions,” Czaputowicz said, adding that Poland is seeking “greater empathy and understanding toward the American policy” and wants to “reconcile, unite” the positions of Washington and Brussels. During Duda’s trip next week, an announcement is expected on improving Poland’s defense capability in the face of Russia’s increased military activity, Czaputowicz told the AP. Poland also is lobbying for the 3,000 U.S. troops now deployed in Poland on a rotating basis to be upgraded to a larger, permanent presence, a decision from the U.S. could come early next year, he said. “It is our goal to raise the security of the people in Poland,” Czaputowicz said. “Only the U.S. has a sufficient military force today that Russia” would recognize as a constraint. Separately, Czaputowicz said Poland would defend its ally Hungary with the European Union. The EU’s lawmaking body decided Thursday to pursue action against the Hungarian government for allegedly undermining the bloc’s democratic values. Czaputowicz said Poland would “veto for sure” any proposed punishments for Hungary. The EU is also pursuing a sanctioning procedure against Poland over the right-wing government’s alleged rule of law violations. Clashes with Brussels have raised questions about Poland’s attachment to the 28-member EU. “We are for a strong European Union in the area of its economy, its institutions and democracy that takes into account various points of view,” Czaputowicz said in the interview.